Being God's Own Country, Kerala is home to several paradises in the form of hills, forests, grasslands and rivers. If you ever desire to witness the magic of nature and capture the beauty of wildlife, then you must take a tour of Kerala. Such is the majesty of this place, that no traveller would ever want to leave it or make it a second choice. Thattekad Bird Sanctuary is one such small paradise on the sprawling lands of Kerala which is home to hundreds of colourful birds and is an idyllic destination away from the pollution of the metropolis to the world of freshness. Read on to know more about Thattekad Bird Sanctuary in Kerala and how to reach it. As the region in and around Thattekad Bird Sanctuary remains covered with evergreen forests and rich vegetation, it is a year-round destination. However, if you are looking forward to witnessing the best of bird species and rich surroundings, then the appropriate time to visit Thattekad Bird Sanctuary is from August until the end of March. Also known as Salim Ali Bird Sanctuary, Thattekad Bird Sanctuary was established in the year 1983 and is the first of its kind in Kerala. 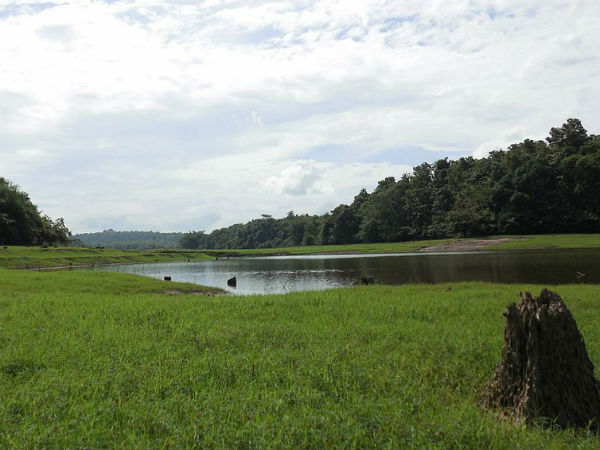 It is characterised by beautiful species of birds, squashy grasslands, evergreen forests and relaxing waterbodies. Spread over an area of about 25 square kilometres, this wondrous beauty of nature is flourishing in between the tributaries of Periyar river. Hence, its surroundings remain unpolluted, fresh and peaceful throughout the year. Being a bird sanctuary, the area is filled with several migrated and indigenous species of birds, which can be seen nesting and chirping all around throughout the year. The major species found here include Indian cuckoo, cormorants, yellow-browed bulbuls, whiskered terns, oriental darter and drongo cuckoo. Ranging from forests birds to waterbirds, you can find hundreds of species within this wonderful sanctuary. Hence, it has become a weekend destination for several photographers and bird-watchers. Wouldn't you love to listen to the melody of a cuckoo or witness the colourful feathers of a green pigeon? If you love getting in touch with raw and pristine nature, then Thattekad Bird Sanctuary is the place where you should be this weekend. Once you are inside this small paradise, you will certainly be reluctant to leave it. Even though the world of Thattekad Bird Sanctuary is surreal and looks like a small paradise within God's Own Country, you will certainly be looking forward to exploring its surroundings. Being rich in dense vegetation and evergreen forests, the surroundings of the sanctuary are no less than heaven for nature lovers and photographers. The major nearby places to visit include Kothamangalam Waterfall, beaches of river Periyar, Pallikal Kavu Temple, Edamalayar Forest, Bhoothathankettu and Idamalayar dams. If you desire to explore beyond the boundaries of Kothamangalam, then you can also visit the hills of Munnar, Marine Drive of Kochi and the temples of Ernakulam. By Air: The nearest airport from Thattekad Bird Sanctuary is located in Kochi at a distance of about 45 km. From the airport, you can hire a taxi to Thattekad. It will take you an approximate time of 1 h to reach your destination from the airport. By Rail: The nearest railhead is at Aluva at a distance of about 50 km. Once you are at the station, you can take a cab to Thattekad. By Road: Located 65 km from Kochi, Thattekad Bird Sanctuary is easily accessible by road.